Regardless of the objective, much can be learned by observations of a person or place of interest! To determine activity of a residence or business, and with individuals, their associates, employment or general level of activity. The most need/request for Covert Surveillance focuses on questionable disability claims and infidelity. 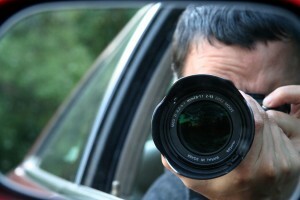 Surveillance is a minute by minute evaluation process. The surveillant has to be constantly alert to monitor all activity, to evaluate and implement effective strategy to meet the objective, while never compromising the safety of themselves or others, while maintaining covert status. Our teams have access to hundreds of surveillance appropriate vehicles through a national rental firm, and in a matter of minutes can transform an everyday vehicle or himself “Special Ops”, to meet their particular need. Gene Phillips assigns all investigators himself and is actively involved in all facets of each case and closely monitors each situation.